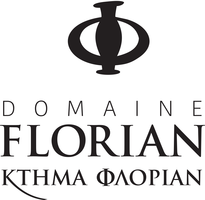 Domaine Florian, a family run, boutique winery follows a long family tradition in viticulture and winemaking, dedicated to high quality, authentic and ecologic sustainable wine making. Our vines benefit from the extraordinary micro-climate of the Epanomi peninsula. Wine is a product of nature and therefore the winery emphasises on traditional vinification processes, combined with modern cellar equipment. Pruning, canopy management, yield-control and harvest are solely carried out by hand to insure that the grapes for the vinification meet highest standards. The winery produces authentic wines with their own and interesting character, boasting all the strengths of the vintage and showcasing the grape variety. Our white wines are mainly fermented in temperature controlled stainless steel barrels, only a minor percentage is fermented and matured in 300l oak barrels. The red wines, are only fermented and matured in 225l barrique barrels in our underground cellar with natural clay floor to provide perfect humidity and steady temperatures for the oak casks. Stabilisation and fining of the wine is done by natural means; and the lowest possible use of sulphites. Filtration of wines is kept to a minimum as to maintain the richness and spectrum of all flavours in each bottle.